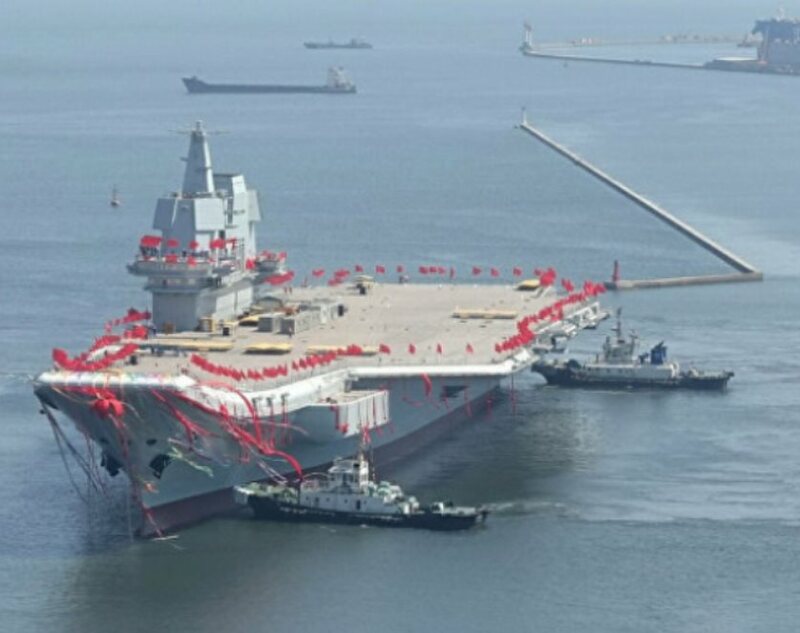 The Liaoning Maritime Safety Administration closed about 1,300 square kilometers of sea to shipping traffic for eight days beginning last Friday, the South China Morning Post reported, indicating military observers had told the publication the area had been reserved for the Type 001a aircraft carrier. The carrier left the nearby shipyard of Dalian in northeastern China on August 26 for a second round of sea trials, Sputnik reported. The carrier's maiden voyage was in May, but military experts noted that it was mostly to test the watertight nature of the hull’s construction; this time the People's Liberation Army-Navy is getting down to business. “This sea trial will mainly test equipment… following a normal working schedule,” Wu Qian, spokesperson for the Ministry of National Defense, said at a press conference. “The maiden voyage of the home-grown carrier had more political symbolic significance. The second phase of sea trials means it has started more scientific and comprehensive tests,” Hong Kong-based military expert Song Zhongping told SCMP. The 65,000-ton carrier, among the world's largest, will be testing out its engines in particular, the Global Times noted, pushing them to the limits in terms of speed and running time. “As a warship, it's necessary to test whether the engines are able to cope with the highest speed of over 30 knots,” Beijing-based naval expert Li Jie said, indicating the tests would likely include finding the radius of the ship’s high-speed turns. Those kinds of extreme maneuvers might become necessary if Taiwanese forces take the advice given by a former director of US national intelligence and test their ability to attack Chinese carriers that venture near the island. If China’s Liaoning carrier sails around Taiwan, “Taiwanese forces should take advantage of its presence to conduct simulated attacks against the Liaoning, raising their own readiness and demonstrating the reality that the Liaoning is vulnerable under wartime conditions,” Retired US Navy Admiral Dennis Blair wrote in an August 22 post for Sasakawa Peace Foundation USA. The Liaoning is China’s only operational aircraft carrier at present, and the ship the Type 001a is heavily indebted to design-wise.